I've always wondered what it would be like to be crafty - you know making all kinds of stuff instead of just bags. I've made a couple of pin cushions before but I did not quite get satisfaction out of it. I love your fruit basket and "fruits". 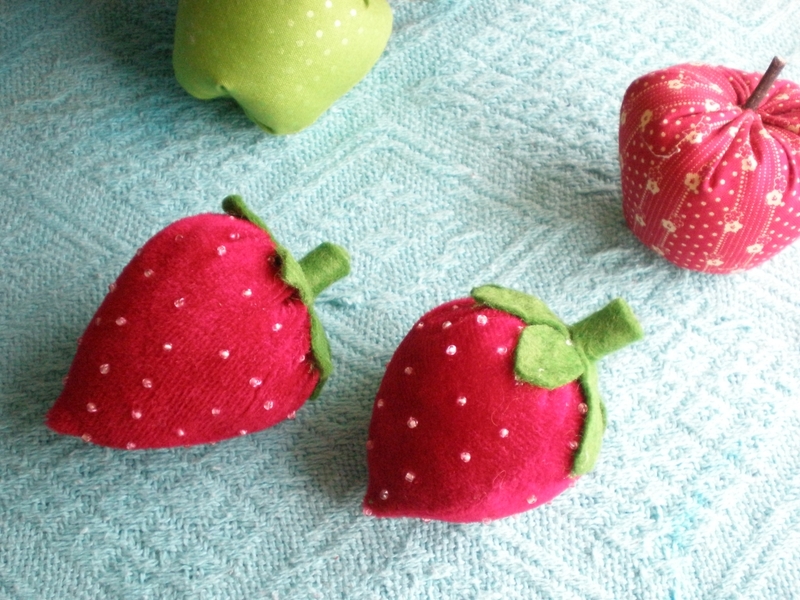 This fruit-based and food-based plushie thing seems very trendy. I see them everywhere, even Ikea! The plush fabric and beads is perfect! I love it when a piece of fabric speaks to me like that. Now the strawberries may look large next to the apples, but imagine real strawberries like that - we'd be overjoyed!! I've just got to make strawberries! They're lovely. I love these strawberries. are they sweet? Love your fruit and they look so great in the bowl. Also those little pouches are so sweet. What a great post. Love, love your bowl of strawberries and apples. My type of fruit! (LOL). I am not a good fruit eater. The blue checked pouchis sooo cute! 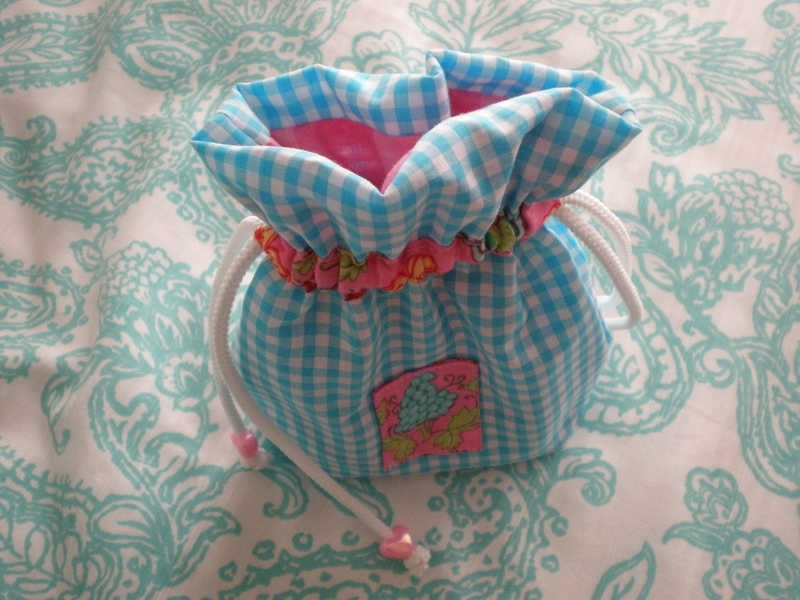 I love reading your blog...you find the cutest craft ideas! These strawberries...I love the bead idea! I have all these tiny beads that I've been just waiting for a craft idea...this just may be it! 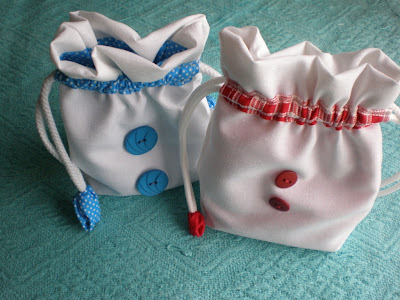 And the little bags...just too cute! Thanks for sharing! 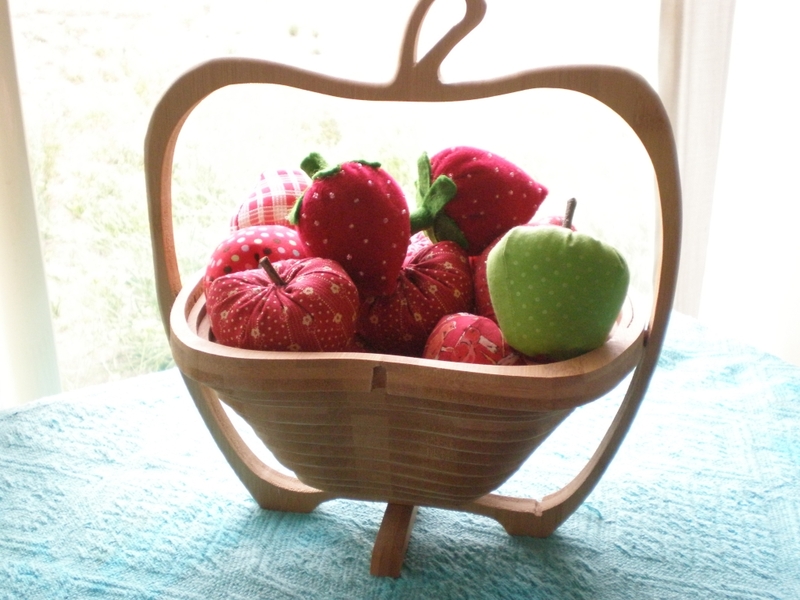 Oh, I've been wanting to make Tilda apples for awhile now - they look great! And that wine sounds divine! I just love your strawberries. Thank you for directing us to the little pouches. They are so cute and you are right they would be perfect for a little gift. I also love your blog. Oh, I love your little strawberries! I made one recently and was so happy with the outcome. Thank you for visiting my blog and entering my OWOH giveaway! I love fabric, too. Enjoy the rest of the event!